WHY NOT BOOKS is dedicated to the idea that books can make a difference in peoples’ lives. So, we partner most of our titles with specific nonprofits and donate a portion of the proceeds to the cause. Monterey County Reads is dedicated to providing children with the tools they need to achieve happy and productive lives. The program uses literacy as a means to avoid poverty by pairing young students with volunteer readers at elementary schools throughout California’s Monterey County. The Andrew Goodman Foundation combines the community organizing tools and lessons of the past with the technological innovations of the present to seed and nurture a new hero citizenry: ordinary individuals engaged and committed to creative and effective action for social impact. As an ally to heroes, we advance Civic Engagement and Intergenerational Coalitions to build a more peaceful, just and sustainable world. Join our journey to inspire more young people to pursue social change work, activate the important lessons of the past, and sustain today’s effective social action. 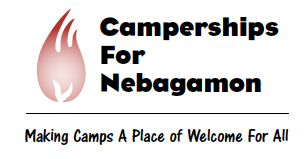 The Camp Nebagamon Scholarship Fund and Camperships for Nebagamon (CNCharities.org), provide opportunities for children who experience poverty and disability and from socioeconomically diverse backgrounds to enjoy safe, joyful, and potentially transformative summer camp experiences. Since 1949 the Francis Ouimet Scholarship Fund has provided need-based college tuition scholarship assistance of $25 million to over 5,000 individual students. The Fund also seeks to preserve the history of Francis Ouimet’s contributions to American golf.